It all starts in the distant future where nuclear fallout has all but obliterated Earth and space exploration and colonization has become a lucrative business. Of these colonizing companies is the Helghan Corporation, which reminds me of the ethical compass of the Weyland-Yutani Corporation from Aliens and the dress code of the Third Reich. The conflict first begins with Helghan discovering Alpha Centauri, a system with two planets: Vekta, an Earth-like planet rife for colonization, and a decayed shell of a planet, Helghan, both named after connections to the company. Conflict breaks out as rivals begin to notice the value of Alpha Centauri, necessitating the formation of armies – the Helghast Army of Helghan and the United Colonial Army (UCA) of the United Colonial Nations (UCN) – and leading to the historical First Extrasolar War. War breaks out when the UCN embargo Helghan from sole colonization of Vekta, which they ignore, and thus get invaded by the UCA. In the end the UCA emerge victorious and colonize Vekta, banishing the Helghast to Helghan. With this dichotomy in place, the UCN create an extraordinary military force known as the Interplanetary Strategic Alliance (ISA, think Colonial Marines) to protect Vekta should the Helghast decide to retaliate. Instead of fighting back, Helghan colonizes the harsh industrial planet named after the company and eventually members of the Helghast are born with the ability to breathe the atmosphere of both brutal Helghan air and traditional oxygen. An aggressive leader with all the traits of Adolph Hitler and from the bloodline that can breathe both atmospheres named Scholar Vasari uses a staged assassination attempt and charm to rise above the ranks and take leadership of Helghan, declaring a new world order known as the Helghan Empire. As you can probably tell, this is no longer just a corporate mantra but now an entire people. After preparing a sizable army, Vasari calls for a blitz assault of the ISA on Vekta and starts the Second Extrasolar War. And that’s just the story before you begin playing. 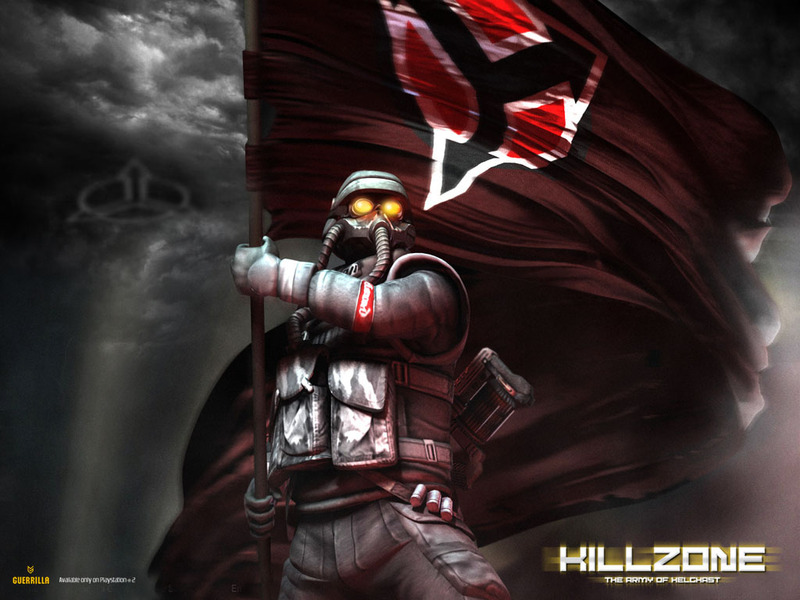 Killzone tells the story of ISA Captain Jan Templar as he fights off the oncoming Helghast forces invading Vekta. 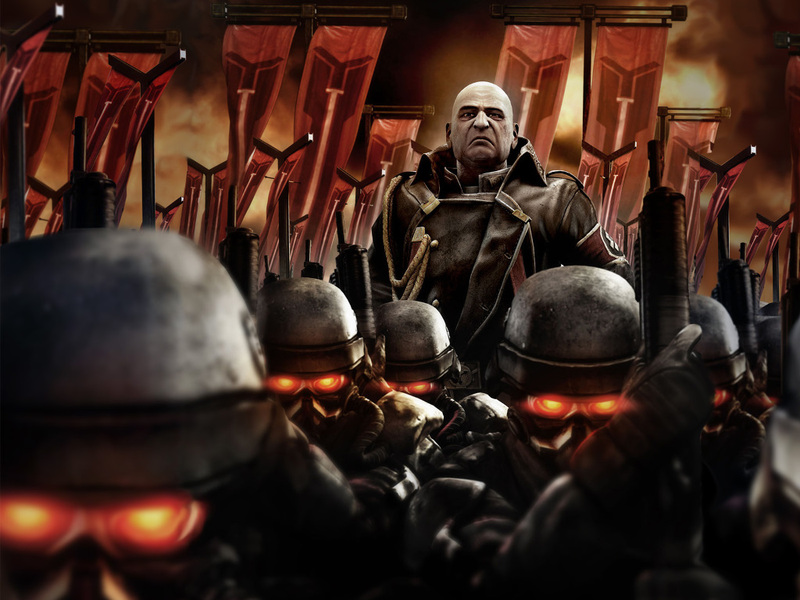 After fighting in the outskirts of the main ISA headquarters, Templar is forced to fall back into the base only to find it overrun by Helghast forces. Eventually he will fend off the troops long enough to evacuate alongside fellow soldier Marshal Lugar, who saves his life. During the evacuation another lone solider named Ricardo Velasquez (remember him, he comes back again) assists a platoon from escaping large Helghast resistance, requesting the assistance of Templar and Lugar. It is at this time the two leaders also discover and set out to find traitor General Stuart Adams, a Helghan spy that lowered the alert system and defenses long enough for the Helghast forces to invade. As the game continues you take out strategic points across the various armies and interact with several spies, counter-operatives, and even an unnecessary side plot with another army. In the end, Adams and his troops are subdued, the main station of Vekta is destroyed, and both Templar and Lugar escape. 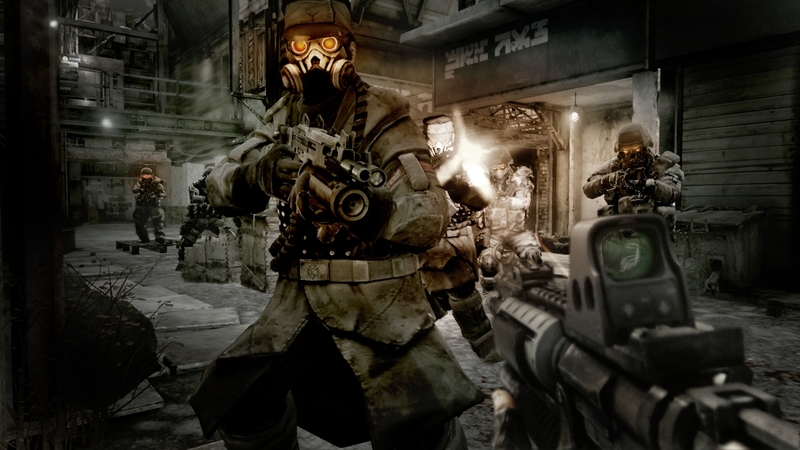 Relevance: Killzone had great graphics for the PS2 and the HD remake on the PS3 is also no exception. Unfortunately for developer Guerilla, the gameplay kinda sucked, the movement and shooting was complicated and clunky, aside from enemies the environment was sparse, and it just wasn’t that fun to play. It did, however, set up a pretty rock solid storyline and although the main campaign story was recycled and predictable, I will go on record saying I rather enjoyed the overall plot that has nothing to do with actually playing the game. I hate to admit it, but you should probably skip this one, it requires more patience than one really needs to offer an experience like this. Like all HD remakes, the PS3 version may look a lot better, but the gameplay remains mostly identical. From there the series has two side tangents, both on portable consoles. 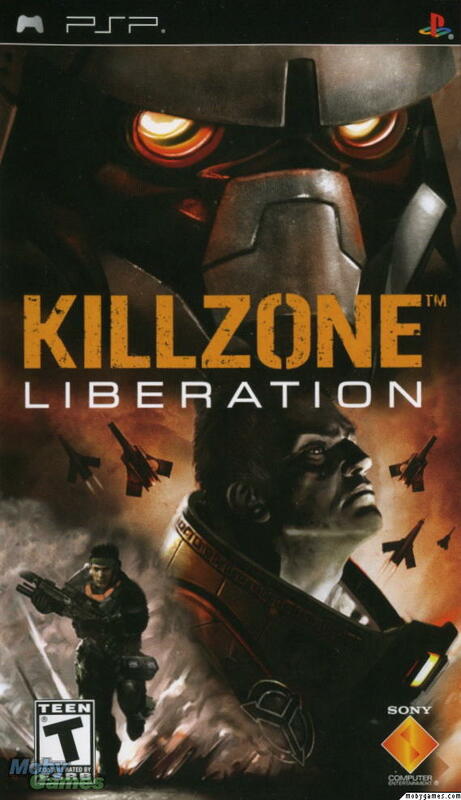 As a serviceable third-person shooter for the Playstation Portable (PSP), Killzone Liberation takes place two months after Killzone. You once again control Templar as he seeks out multiple hostages taken by new Helghast leaders General Armin Metrac and right hand Colonial Cobar, both assigned by Vasari to capture key targets in the war on Vekta. As you progress through the game the writing on the wall steers to the Helghast upping tech to attack the ISA and both Lugar and Velaszquez (now known as “Rico” for short) make cameos. At the end of the 4th mission, the final one on the UMD, you discover that upon the defeat of Metrac, Vasari now plans to use nuclear weapons against the ISA and that there is a traitor in Templar’s midst. A fifth mission available as downloadable content epilogues the game with Rico Velasquez being wrongly accused as the traitor and it is discovered that it was instead another solider you worked with throughout most of the game (although he was forgettable). Relevance: This game was much more gameplay than story, an interesting juxtaposition from the original. I recommend checking it out if you wish – it is compatible with Vita – but going into it with the open mind that it was a dated attempt to utilize Sony’s portable and did it better than most. It will be a lot of work for a storyline I just summed up in a paragraph and requires a piece of paid DLC to fully appreciate. Granted, I give props to Guerilla, who did develop this iteration. 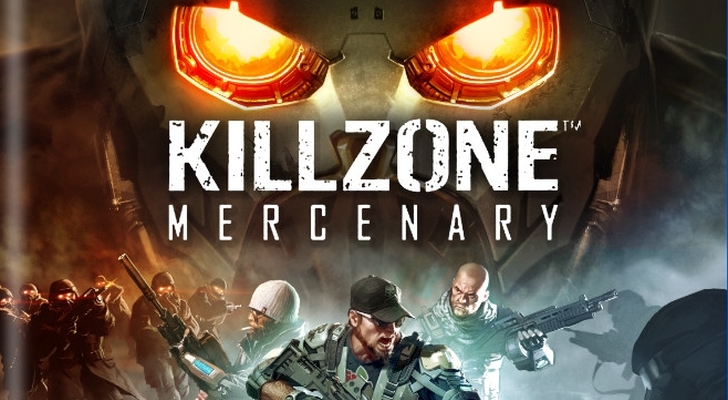 The only jump in development/release dates comes next with the recent Vita release Killzone Mercenary. It’s kind of a throw away plot that has little to do with the universe. Oh well, here we go. You control mercenary Arran Danner (what is with Guerilla’s names? ), a former UCA soldier turned merc that works for whoever has the highest paycheck. During an extraction mission of an ISA diplomat, things go wrong and you end up protecting a little boy as you unfold a plot to use biological warfare on Vekta. You discover that the ISA forces have a way to wipe out the entire Helghast army on Vekta in one fell swoop, but the ethical reality of genocide is too much for this mercenary to bear. He joins forces with the Helghast, eliminating the weapon and extracting the boy, all while keeping their identities safe. At the end it is discovered that Vasari did, in fact, acquire a nuclear weapon in the midst of this conflict. Relevance: Almost none. 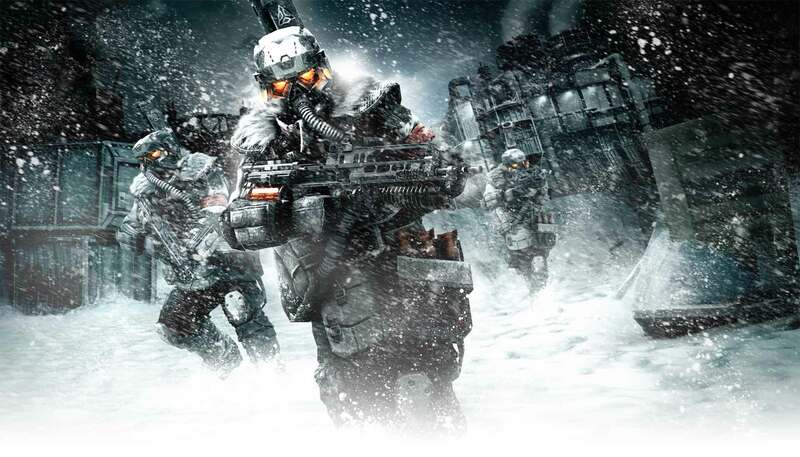 The story is throw away, the concepts already revealed in the release of Killzone 2 and it seems this was developer Guerilla’s alternative team showing off their talents at creating an FPS experience on the Vita without damaging the Killzone cannon. While I must admit it adds almost nothing to story or cannon, it is one of the best and most fun games on Sony’s handheld, so just go into it to have fun instead of revealing plot. Now back to the console trilogy. After the war on Vekta begins to take a back seat, a full blown invasion of home world Helghan takes shape with the ISA forces hoping that the elimination of leader Vasari will essentially “cut the head” off the army and discontinue the attack of Helghast forces. You now take control of Tomas “Sev” Sevchenko, a special forces operative, as they begin the invasion on Helghan. During an assault on the anti-air measures of the capital city Pyrrhus, Sev discovers that the Helghast have been able to harness the natural Helghan (planet, not army) resource of Petrusite, allowing for arc towers that can basically zap and destroy any solider or armament against them. As they attempt to take out the Tharsis Refinery on the outskirts, Colonel Radac (your nemesis for the game) kidnaps key members of Sev’s group. It’s not all bad news, Sev does discover the details behind Red Dust, the nuclear weapon, and manages to steal the launch codes before breaking out and escaping with his team. Everyone extracts to the New Sun, an invasion ship of the fleet that assaulted Helghan. Radac predictably finds his way on board, kills a key member of Sev’s team (playing the game reveals more background on character Garza) and steals back the codes, however the dying member Jan Templar (thanks to Kaleb for catching this) manages to crash the invaded New Sun into the Tharsis Refinery and ruin most of the arc tower plans. The game wraps with Sev and Rico invading the Helghan capital to capture Vasari, but being somewhat delayed by the triggering of Red Dust on the city. The two continue into the capital, fight a ridiculous boss battle with Radac in the process, and the gloomy words of Vasari convince Sev to kill the Helghast leader instead of taking him into custody. As the sun sets over Pyrrhus a massive Helghan fleet is revealed and ready to take out the ISA. Relevance: Killzone 2 is a hell of an experience. Relatively long compared to other first-person shooters, roughly 12 hours, and with an enemy AI and “killbox” level design that forces you to play hyper aggressive, it’s unlike most games of its times. Couple that with gorgeous graphics, cool weapons, and a cover system not unlike that in Gears of War and there’s little reason not to give this one a try. It was somewhat forgotten with an early 2009 release that put it outside the holiday season, immediately following Resistance 2, and in direct competition with Resident Evil 5 (not to mention Gears of War 2 just went up against Resistance 2 at the end of 2008). Of the games released on the Playstation 3 platform, I still consider Killzone 2 one of the top 5 games to try on the console despite it’s ridiculous final boss battle. Opening immediately following its predecessor, the goal is now to get Sev, Rico, and the rest of the ISA forces off Helghan and out of the eye of the storm that is retaliation. Next in command of the Helghan forces is Admiral Orlock, a man not unlike Vasari in his ability to use rhetoric and propaganda to get his way from the Helghan senate. Not in his court is Jorhan Stahl, head of Stahl Arms Corporation and responsible for the largest number of military resources on Helghan. It is clear that these two men don’t get along and there may be some competition for the “throne” of leadership. Sev and Rico attempt an extraction and some botched plans and assaults later the two are marooned and separated on Helghan, lasting more than 6 months on the run. In the meantime, the senate grows weary of Orlock’s leadership and the suggestion is made that Stahl take leadership. While it doesn’t happen, Stahl withholds prototype weapons from the Helghan army and decides to use his own private forces to hunt down the lone soldiers in direct competition to Orlock, who has been hunting them for half a year. In the meantime, Sev makes his way to the Helghan jungle (an interesting level), speaks with Vekta leadership, and a cease-fire is negotiated to extract the soldiers. Stahls men find Sev and capture him, resulting in Rico and a few of his men saving him (this is now par for the course). During the escape, Sev and Rico discover a plot to eliminate all of Earth’s forces from Stahl, using a prototype weapon. As a result they go about infiltrating and destroying Stahl’s forces before attacking the man himself. This entire conflict takes place in space, specifically in the Helghan orbit, and involves some interesting space combat, physics, and an eventual push to Stahl himself. After a brief battle, Sev drops a massive Petrusite nuclear bomb on Stahl’s cruiser to eliminate any chance he will be a threat, resulting in a nuclear fallout that wipes most of Helghan. After some reflecting on killing millions of people all at once, Sev and Rico return to Vekta and a post-credits scene shows two Helghast soldiers investigating an escape pod on Helghan and stating, “Welcome home sir,” implying that Stahl may very well be alive. Relevance: Killzone 3 was a bit gimmicky. It had 3D, jetpacks, and plenty of crazy weapons on its side, but in the end it just wasn’t as strong as its predecessor. Still, it was quite enjoyable and many liked the new lighter feel of your fighter and his ability to act a bit more like a Call of Duty soldier (which I felt was a step back). 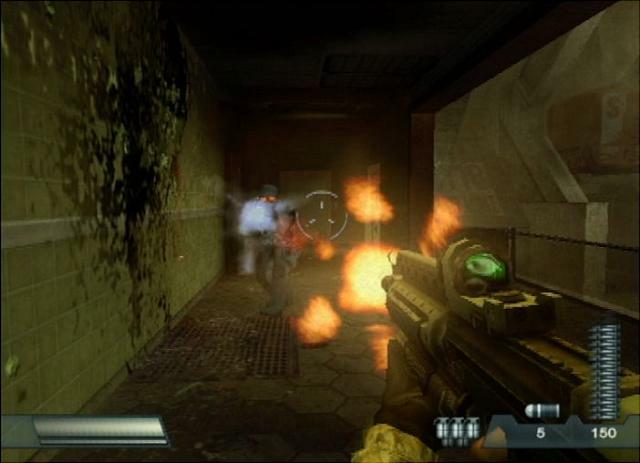 Multiplayer continued to thrive and with long battles, massive maps, and rotating objectives, still stands strong today as an exclusive multiplayer shooter. And that’s the story at this point. With the preview coverage I’ve seen on Killzone Shadow Fall up to this point I think it’s safe to assume that much like the other iterations, it will be a visual masterpiece with the jury still out on gameplay. Here’s hoping it plays as good as it looks. Thank you for this. Years later this page is probably the most important about the series with the most documented story. Even the official pages are down. Well as the owner of the site, this one ain’t going anywhere. Glad it helped. Just a quick thing… It wasn’t Garza who crashed the new sun into the refinery, it was Jan Templar.